The Premier League’s decision to use vanishing spray this season was influenced primarily by how ‘cool’ everyone thought it was at the World Cup. 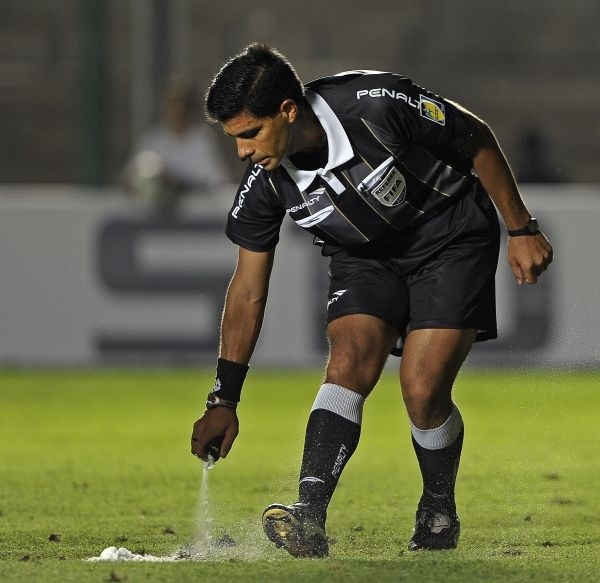 The Premier League has this season introduced the vanishing spray that was so popular at the World Cup, because it oozed enough global coolness for it to be considered to be fast-tracked. “The referees just looked awesome taking the spray out those little gun holsters didn’t they?” Premier League CEO Scudamore said.